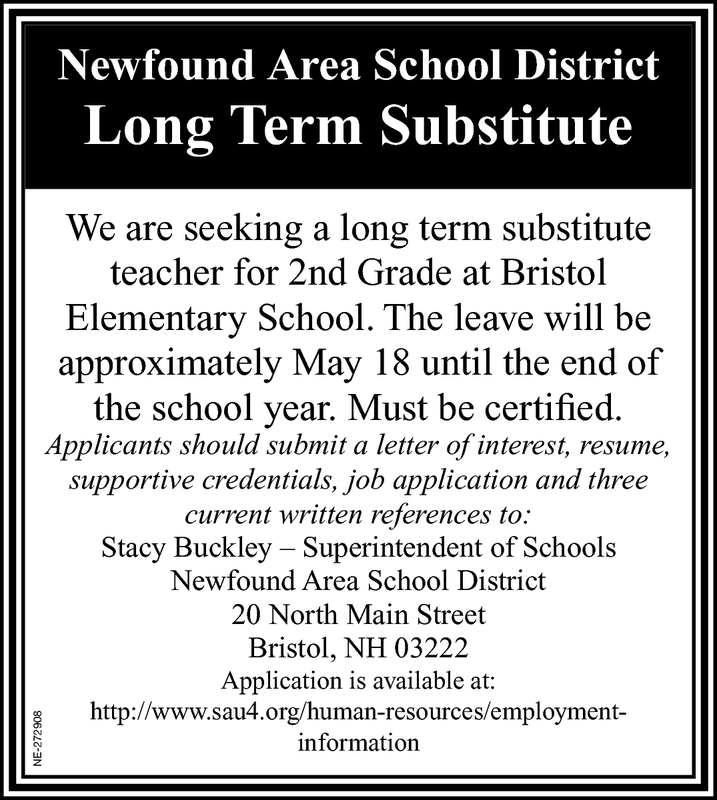 We are seeking a long term substitute teacher for 2nd Grade at Bristol Elementary School. The leave will be approximately May 18 until the end of the school year. Must be certified.